Qualcomm’s next-gen chipsets are coming this year which will again shape the smartphone industry giving direction to how powerful will be the new breed of smartphones are. The American chipmaker is one of the largest manufacturers, and its processors can be found under almost 70% of Android smartphones, from low entry-level phones to the high-end flagships it’s present everywhere. Nonetheless, there’s not that big of a deal to talk about the high-end Snapdragon 800 series chips as these are the flagship’s which have the top level performance and endurance abilities. But it is the mid-tier and budget level Qualcomm processors which are always questioned about their new abilities and processing power with each new generation and series gets introduced. Today we will compare the Snapdragon 636 Vs 660 Vs 710, And in this post, we will take a look at the next big trio of processors which will define the next budget and the upper mid-range segment of smartphones. And with the introduction of the brand new Qualcomm Snapdragon 700 series the whole smartphone mid-range and the budget scene could turn upside down. We will compare the latest Snapdragon 710 from the 700 series with the old titan from the 600 series which is the Snapdragon 660 along with the new kid in town that’s the Snapdragon 636 who punches well above its level. This belongs to the newly debuted 700 series which sits between the flagship Snapdragon 800 series and the mid-range 600 series. The Qualcomm Snapdragon 710 is manufactured on the 10nm architecture, which will make it highly power efficient and this one is an Octa-Core processor based on Qualcomm’s homegrown Kryo 360 Gold and Silver CPU cores. 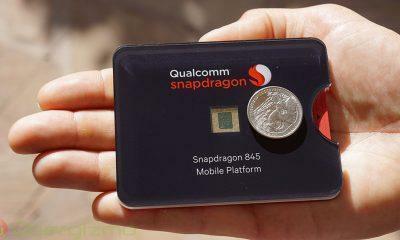 The GPU here paired is the Adreno 616 which is also a highly powerful CPU, but the details are still unknown about it. The SD 710 majorly focuses on the AI aspects with its multi-core AI that employs Qualcomm’s All-Ways Aware technology for better AI results(facial recognition, voice & image processing and much more). The SD 660 belongs to the upper tier of the 600 series which sits below the premium Upper-mid range Snapdragon 700 and 800 series. The Snapdragon 660 is manufactured on the 14 nm architecture, which was the benchmark last year for power efficiency and this is also an Octa-Core processor based on Qualcomm’s homegrown Kryo 260 CPU cores, which is a 4 Cortex-A73 cores + 4 Cortex A53 cores with Qualcomm’s custom scheduler. The SD 660 can also be classified as a semi-flagship chip as it’s performance according to Notebook check is between the SD 820 and the SD 820, which are flagship level processors. However, it’s GPU, Adreno 512 clocked at 850MHz is just a slight upgrade from the 509, this is where it falls short. The mid-range SD 636 is also an upper mid-range chipset, which is based on the Kryo 260 similar to the 660 but this one is clocked at 1.8GHz only. 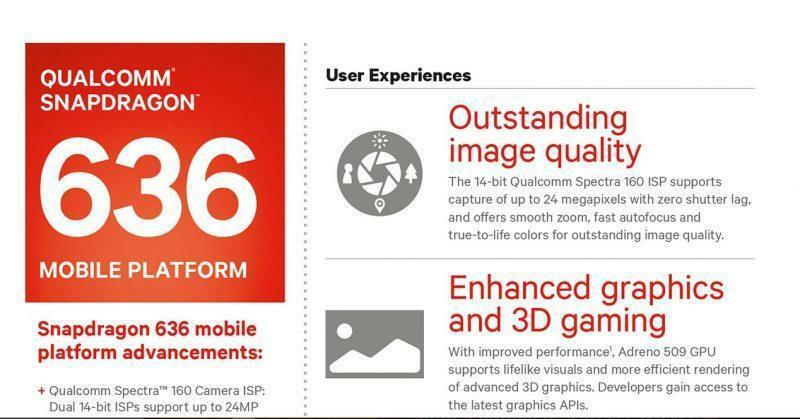 It is an Octa-Core CPU and is 40% more powerful than that SD 630. The GPU here is an Adreno 509 which should get the job done for most games; the clocked speed is at 725MHz. The SD 636 packs almost the same powers as the 660 on the CPU side of things, but falls short on GPU. But it is more energy efficient compared to the SD 660 but not, so power efficient compared to the almighty 710. 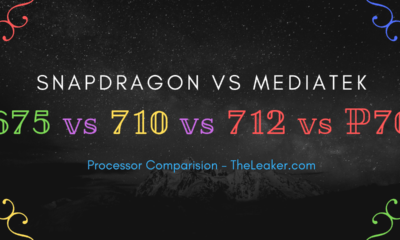 The Qualcomm Snapdragon 710 is the winner with a better single performance while there’s not a huge difference in the multi-core scores of the holy trinity. As most apps use single core and from the looks of the Geekbench scores the 710 leads the way followed by the 660 and 636 are almost neck to neck. Where the SD 710 shines is in the GPU performance and the AI abilities which is much more higher compared to the Duo. With the new Hexa 685 DSP which it borrows from the flagship 845, it will perform better AI processing as well as you also get HDR 10 support as this comes with 10-bit display and camera pipelines, which the Duo can’t match. So, the 710 could be said as a mini version of Snapdragon 845. Gflops info source taken from here. as the technology is getting so fast that people trying to invent and enhance the old products more advanced like this Snapdragon chip for the smartphone makes the smartphone to be able for high-speed processing.